adjective – Relating to or characterized by rainfall. 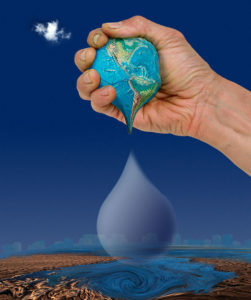 Pluvial Solutions provides solutions to the water issues which effect us all. Services provided are water efficiency solutions, water audits and stormwater solutions primarily through rainwater harvesting. Confusing, maybe, but all water comes from the rain that falls. It ends up in rivers, lakes, oceans and in the ground sometimes taking decades, centuries and thousands of years to settle. Then humans extract it for various uses sometimes using it efficiently and sometimes not. Only 3% of water on the surface is fresh; the remaining 97% resides in the ocean. Of freshwater, 69% resides in glaciers, 30% underground, and less than 1% is located in lakes, rivers and swamps. The following pages provide information on water and solutions to use it wisely.